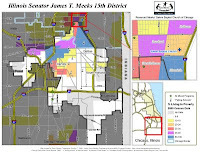 I've been using maps to draw attention and resources to all high poverty neighborhoods in Chicago so that every neighborhood could have great youth programs operating in non school hours, not just a few great programs in a few neighborhoods. 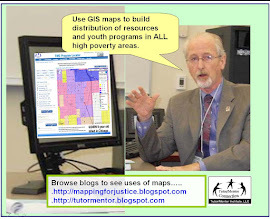 I also maintain a Tutor/Mentor Institute blog which integrates maps and map ideas in its articles. I add new articles each week, such as one today where I'm pointing to a web map of racial distribution in the US, based on the 2010 Census. If you want to understand where the homicide rates are highest, and changes since the early 1990s, take a look at the maps and analysis on this City Notes blog. In today's digital edition of the Chicago Tribune I read a story about a geologist who is using satellite data and GIS mapping to "challenge oil, gas, mining and fishing organizations over how they are changing the earth. The organization is called SkyTruth. Visit the web site. Read their blog. 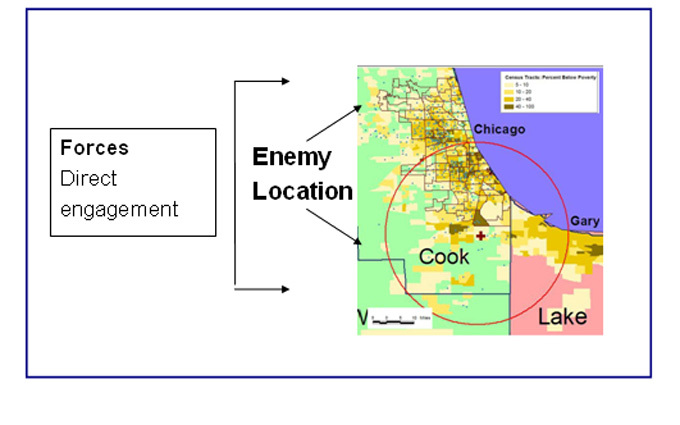 SkyTruth uses data to inform the public in many of the same ways as I've sought to use data and mapping to support the growth of volunteer-based tutoring/mentoring programs in Chicago. SkyTruth fought a long battle for attention and funding and still is not a "wealthy" organization. I continue to fight to find talent, dollars and partners to support my own efforts. Another innovator who uses data to support changes in public policy is Tom Wong, an assistant professor at UC San Diego, who uses data to support changes in immigration legislation. This article in the LA Times describes the work Wong is doing. This is his blog. "Community mapping can be an extremely useful tool to build the capacity of nonprofits to effectively engage in policy advocacy. Mapping holds vast potential for advocacy because of the power of maps to both analyze and communicate complex information and relationships." That's a quote from this Policy Link report titled "Community Mapping for Health Equity Advocacy". I've been trying to build this type of mapping capacity for nearly 20 years. This map shows how we can create maps showing political districts and share them as part of advocacy and capacity building. It's one of many maps that you can see in this blog and in many articles on the Tutor/Mentor Institute Blog, PDF Essays I've created, and on the Tutor/Mentor Institute web site. 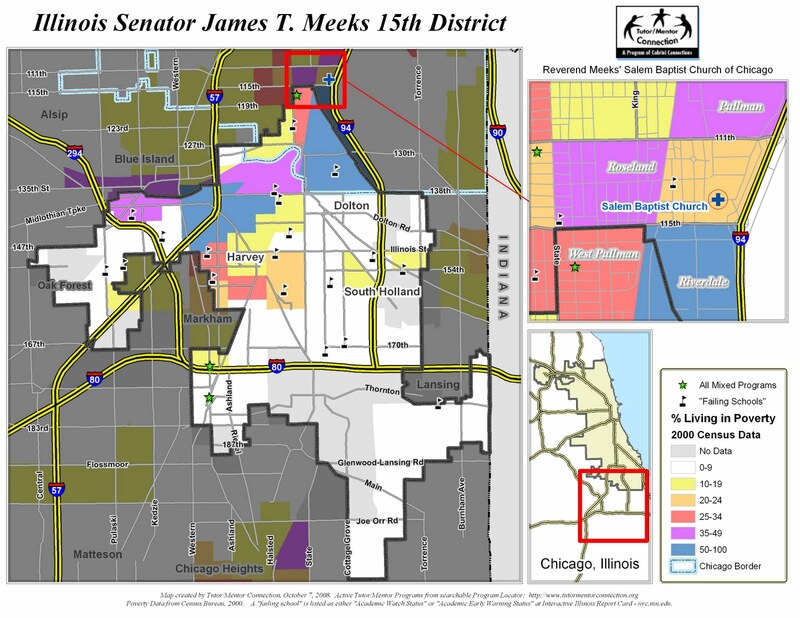 I encourage you to read through the Policy Link report and browse this site to learn more about ways maps and visualizations can be used.